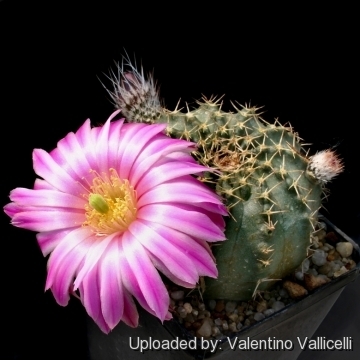 They are small growing cacti with flat globular bodies and short pale spines. They are very popular in collections as they remain relatively compact and bear many spectacular big pink/purple/red flowers. Areoles: 5 to7 mm inch apart; 3 to 7 pale yellowish spines. Roots: It has a strong taproot. 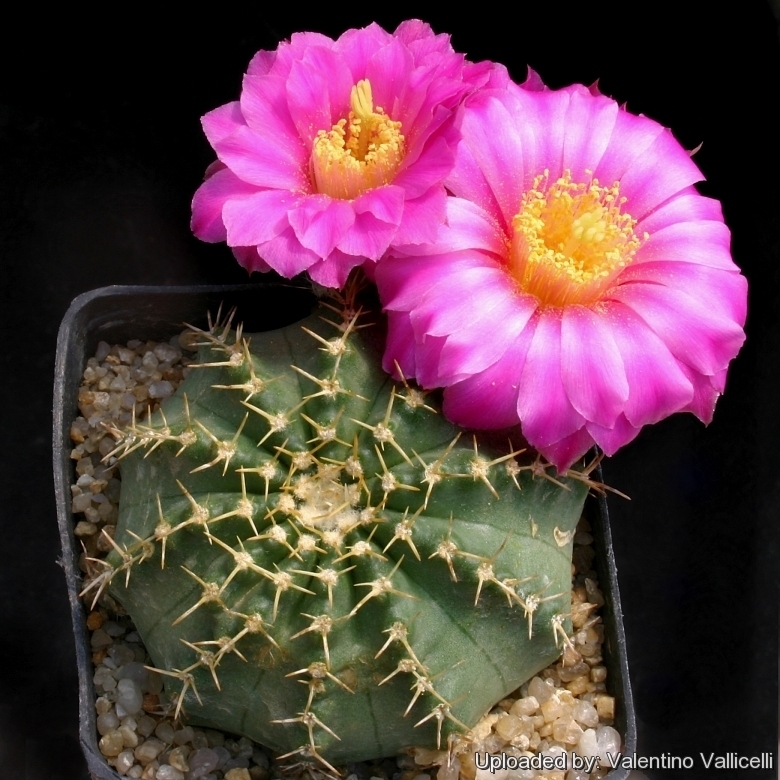 Remarks: Many of the plants usually known in cultivation as "Echinocereus amoenus" are instead a form of Echinocereus weinbergii. Growth rate: It is a relatively slow growing and easily flowering species that will make clumps given the best conditions. Repotting: It has a strong tap root and should have a deep pot to accommodate it. Use pot with good drainage. Watering: Water carefully, too much water will make it rot, keep dry in winter. Hardiness: Keep dry at minimum temperature of 5° C in winter although will tolerate brief periods to -10 degrees. Sun Exposure: Full sun to light shade. However warmth throughout the year will increase the grower's success (5-12°C during rest season). Exposition: Outside full sun to light shade or afternoon shade, inside it needs bright light, and some direct sun. Subject to sunburn if exposed to direct sun for too long. 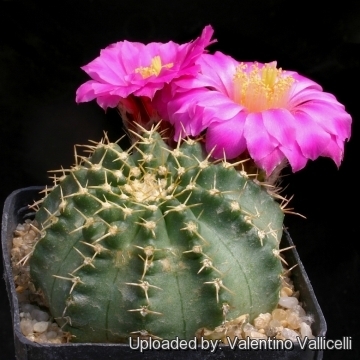 Tends to bronze in strong light, which encourages flowering. Propagation: It grow easily from seed or cutting (if available).